This interview was done at the recording of “New Clothes for Goddess” on 28 August 2014 in Beijing. Normally, the main characters in “New Clothes for Goddess” of course would be the brightly dressed female goddesses, even if the invited guest to come and give comments is pretty like Jang Keun Suk, should only be the co-star. The reality is, the recording that night, the male god stole the limelight. In the show which is about female goddesses, the male god was represented by JKS as their saviour, he only needed to throw a wink, he already won over many. Fans will have to patiently wait for a few more days. 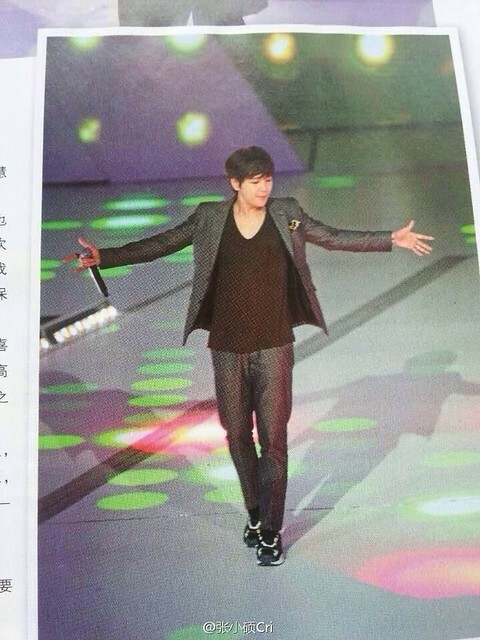 Although JKS recorded “New Clothes for Goddess” on 28 August but airing on TV will be late September. 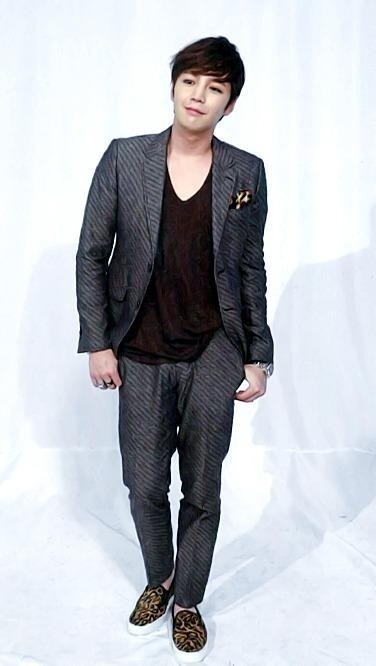 With fashion big honcho like CBS overlooking his growing up, can see JKS’ good fashion flair. Regrettably, about what they would do after drinking, CBS only smiled secretly without saying more. 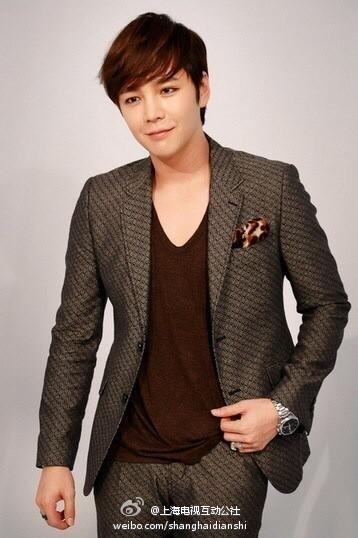 About drinking alcohol, when JKS came for recording the next day, he personally confirmed it. 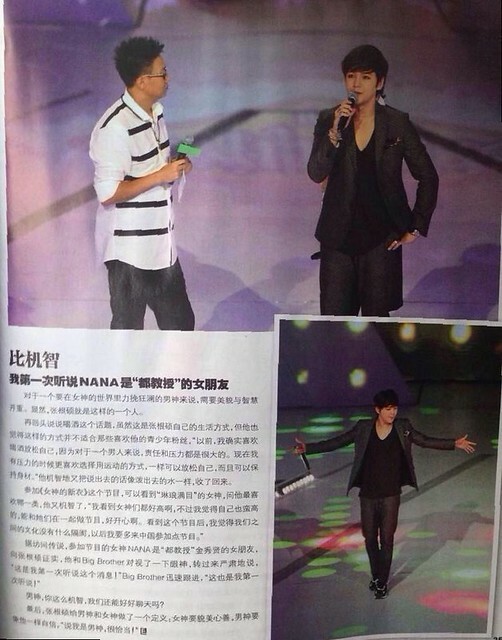 On the night of recording, accompanying JKS was another Korean artiste BigBrother, they both got on the stage in neat clothes. BigBrother also said he’s one of JKS’ drinking mates. 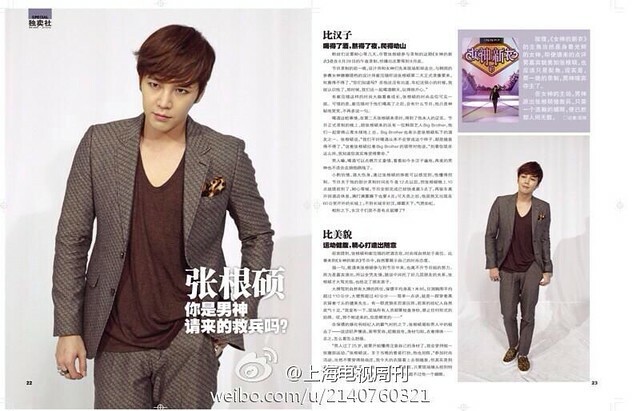 JKS said ‘usually, we do not dress like this when we drink, we’re very casual’. 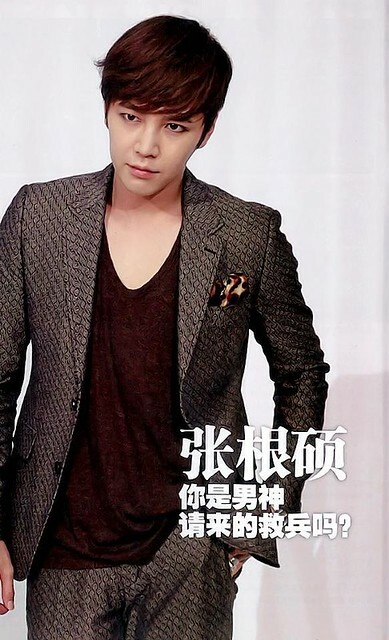 JKS tugged on Big Brother’s tie and said ‘don’t think you look so handsome, I know you feel very uncomfortable’. Men, drinking can make one generous, nowadays plenty of manly females can be seen, even the prettiest male gods are no longer suitable to go feminine style paths! 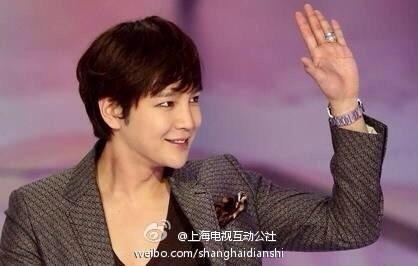 A little bit of drink is fun, too much is bad for the body, through JKS’ condition, can see that he knows how to control. Recording for his part was after 12 midnight but JKS already arrived early at around 10pm, he waited patiently, when the recording was finished it was almost 3am. After driving the car and returning to his hotel, can guess that by the time he hit the bed, it would be at least 4am. But after day break, he appeared at the Great Wall which is 60km away! He who hasn’t been to the Great Wall is not a man, conquerer of the world, powerful man. In comparison, don’t manly females look weak? As mentioned above, JKS and CBS drink and chat together, his fashion knowledge would be on a high level. Coming to the “New Clothes for Goddess”, of course he has to show his own fashion attitude. Want to add a few words here, to be able to invite JKS to participate in the programme, it is the production team’s effort. Because it is appearance as a guest, it is all because of friendship, heard that it was through a few levels of friendships to be able to get JKS to come, he really gave his friends a lot of face (did a big favour for his friends). Surrounded by big sized bodyguards and powerful manager, JKS can be said as the best amongst men – he spoke softly and slowly, smile on his face, winked and emitted electricity, even figure, dressed appropriately – no matter what, he just looked comfortable. ‘When a man is over 25, has to know how to look after his body, I insist on doing some stomach exercises’ JKS said. Regarding his clothes that night, he said frankly ‘to participate in a fashion event, of course cannot dress too formally, tonight my clothes look casual, but it is deliberately making it look casual.’ As to his own looks, needless to say, whenever the camera gave him a close up, even when all the female goddesses were present, the screams from the audience could not surpass a wink from him. For a male god who has to win amongst world of female goddesses, it requires both looks and intelligence. 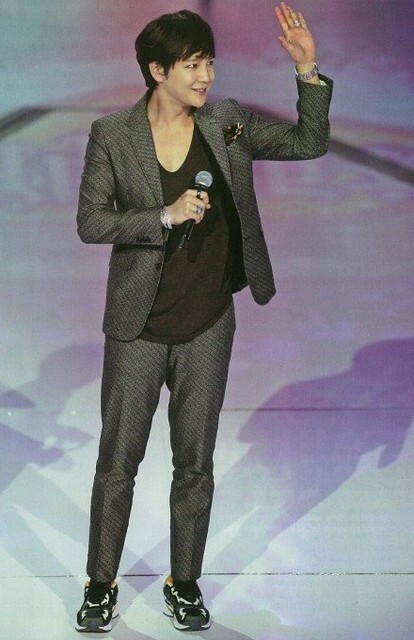 Obviously, JKS is one such person. Going back to topic about drinking alcohol. 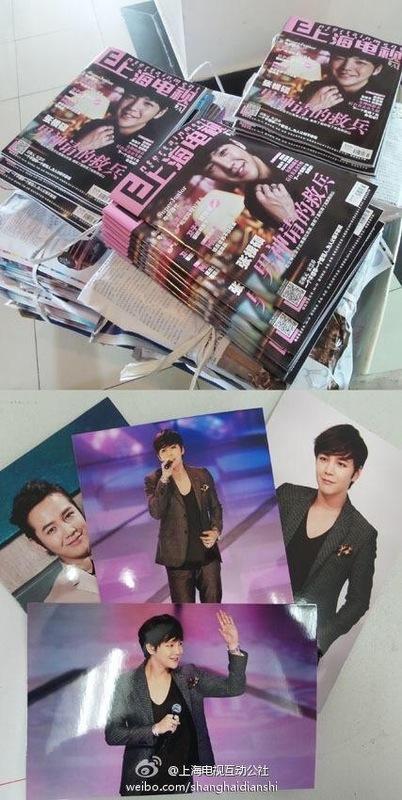 Although this is JKS’ personal lifestyle but he also thinks that it is not suitable for the young fans who like him. ‘Previously, I did love to drink alcohol to relax myself. Because for a man, responsibility and pressure is very high. Nowadays when I have pressure, I prefer to choose exercise method, can relax myself and also maintain my figure.’ After what he said before that, it’s like water being poured out, he wittingly retrieved it. According to rumours, the female goddess in the show Nana is professor Do KSH’s girl friend, sought confirmation from JKS. He looked at Big Brother for a moment, turned around and said seriously, ‘this is the first time I hear of this!’. Big Brother also immediately said ‘this is also the first time I hear of it!’. Male god, you are so witty, how can we chat? Lastly, JKS made definitions for male gods and female goddesses: female goddesses must be good looks and kind hearted, male gods must be confident like him, ‘to say I am male god, it is very appropriate!’.